Entrepreneurs who are planning to incorporate at the end of the year are usually focused on being in a position to operate at the beginning of the New Year. California has a unique statutory provision that gives entrepreneurs a head start on their business plans for the coming year by enabling them to file their articles of incorporation before year end without being obligated to file a tax return for the short year. But timing is everything in taking advantage of this provision. Every corporation doing business in California, with the exception of banks and financial corporations, must pay an annual franchise tax computed at the rate of 8.84% of its net income for the preceding income year, or, if greater, the minimum franchise tax of $800. For purposes of the franchise tax, a corporation is “doing business” in California if, among other things, it is organized in the state. So once the corporation is organized by filing articles of incorporation with the California Secretary of State, it becomes subject to the franchise tax law. The franchise tax imposed under the law specifically “attach[es] whether a taxpayer has a taxable year of twelve months or less.” As a result, a corporation organized in California ordinarily has to file a tax return even if it has a short year. But this is where California’s unique statutory provision comes in. The very next provision in the franchise tax law, California Revenue and Tax Code Section 23114(a), states that “[a] corporation shall not be subject to the taxes imposed by this chapter if the corporation did no business in this state during the taxable year and the taxable year was 15 days or less.” So if our entrepreneur files his articles of incorporation within 15 days of the end of the year, he does not have to file a tax return for that year. Just as important, Section 23114(b) then provides that “[t]he period of time for which a corporation is not subject to taxes imposed by this chapter as provided in subdivision (a) may not be considered a taxable year for purposes of . . . subdivision (f) of Section 23153.” Under Section 23153(f), new corporations are not subject to the minimum franchise tax for their first taxable year. Putting Sections 23114 and 23153(f) together, this means that a corporation that incorporates within the last 15 days of the year does not have to (1) file a tax return for the year in which it actually incorporated, or (2) pay the $800 minimum franchise tax either in that year or in the next year, since the year of incorporation is not considered a taxable year and the corporation is not subject to the franchise tax for its first taxable year, which would not begin until the New Year. By contrast, if the corporation was organized even a day or two more than 15 days before the end of the year, then the corporation would have to file a tax return for the year of incorporation. The corporation still would not have to pay the minimum franchise tax for that year, but would be subject to the tax beginning the next year. In other words, waiting just a few extra days to incorporate can save the corporation at least $800, plus the cost of filing a tax return. This was the exact situation presented in a decision rendered by the California State Board of Equalization rejecting a corporation’s tax appeal. In that case, the appellant was a Washington corporation that qualified to do business with the California Secretary of State’s Office on December 12, 2003, just a few days outside the 15-day window to qualify for the benefit of Section 23114. The corporation did not file a California tax return for 2003. Instead, the corporation, on the idea that it did not actually begin conducting business in California until January 1, 2004, filed its first tax return in April 2005, for the 2004 tax year. In its 2004 tax return, the corporation reported a net loss of $340.84, but did not pay the minimum franchise tax for 2004. The California Franchise Tax Board issued the corporation a notice of balance due, indicating that the corporation owed a minimum franchise tax of $800 for 2004, an underpayment of estimated tax penalty of $30.88, and a late payment penalty of $72.00, plus interest of $24.46, for a total of $927.34. The corporation protested the decision, claiming that it did not owe any minimum franchise tax in 2004. The Franchise Tax Board denied the protest, after which the corporation appealed to the State Board of Equalization. In the meantime, the corporation filed a late tax return for the short period of December 12 to December 31, 2003, in which it reported a net loss of $545.57, and again stated that it only began to conduct business in California on January 1, 2004. The Board of Equalization rejected all of the corporation’s arguments. While sympathetic to the corporation’s position, the Board felt compelled to apply the plain language of the franchise tax law. Under the tax law, every corporation must pay a minimum franchise tax of $800 for each tax year, from the earlier of the date of incorporation or qualifying or commencing to do business in California, even in a short tax year, with the “sole statutory exception” of the 15-day period set forth in Section 23114. Because the corporation first qualified to transact business in California on December 12, 2003, outside of the 15-day grace period, it was required to file a return for the short period from December 12 to December 31, 2003, that constituted its 2003 taxable year. The corporation was “generally subject to the minimum franchise tax for its short 2003 taxable year,” but was exempt from paying the tax under Section 23153(f)(1) because 2003, though short, was the corporation’s first taxable year. But because the corporation used up its first-taxable-year exemption for the short period in 2003, the Board found that the corporation could no longer claim the benefit of the exemption in 2004 “due to the fact that 2004 is the second year in which appellant was subject to the minimum franchise tax.” As a result, the corporation was stuck paying $927.34 for the tax year 2004, just because it had qualified to do business in California a few days too early. The corporation’s tax appeal provides an object lesson in why timing is everything when incorporating in California at the end of the year. 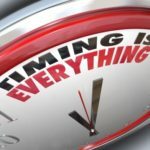 While entrepreneurs can use California’s unique statutory setup to get a head start to be up and running with a new corporation at the very beginning of the New Year, they must be careful to take action within 15 days or less of the end of the year to take full advantage of the benefits provided under the franchise tax law. See Cal. Rev. & Tax. Code § 23151(a), 23151.1(e), 23153(a), (d)(1). See Cal. Corp. Code § 200(c) (corporate existence begins upon the filing of the articles of incorporation). Cal. Rev. & Tax. Code § 23113. See in-the-matter-of-the-appeal-of-md-biotech-corp(Cal. St. Bd. Eq. Jan. 21, 2009). Id. at *2. The corporation also argued that it would suffer a financial hardship if it had to pay the assessment because it operated at a loss in 2004 and 2005. The Board of Equalization rejected that argument, noting that “a corporation is still liable for the minimum franchise tax even if it does not conduct any business or have any income upon which to measure the franchise tax.” Id. at *3. The Board also found no error in the Franchise Tax Board’s assessment of penalties for underpayment and late payment, plus interest, since the corporation had “offered no explanation for its failure to timely pay the minimum franchise tax other than its apparent misunderstanding of the” tax law. Id. at *3.